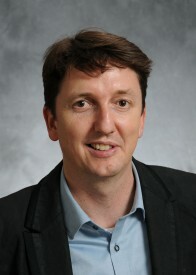 Joshua Barker is an Associate Professor of Anthropology and Dean of the School of Graduate Studies. He received his B.A. from Trent University, his M.A. from SOAS at the University of London, and his Ph.D. from Cornell University. He has taught and conducted research at the Bandung Institute of Technology in Indonesia and has been a post doctoral fellow at Twente University, the Netherlands Institute of Southeast Asian and Caribbean Studies (KITLV), and the Department of Anthropology at Stockholm University (with support from the Swedish School of Advanced Asia Pacific Studies). His research focuses on Indonesia, where he has examined various themes relating to his three main topics of interest: urban studies, crime and security, and new technologies. Klinken, Gerry van and Joshua Barker (eds.). 2009. State of Authority: State in Society in Indonesia. Ithaca, NY: Cornell University Southeast Asia Program Publications. Barker, Joshua and Johan Lindquist, et al. 2009. “Figures of Indonesian Modernity,” Indonesia 87 (April): 1-38. Siegel, James and Joshua Barker, Arief Djati. 2008. “Notes of a Trip Through Aceh, December 2007.” Indonesia 86 (October): 1-54. Barker, Joshua. 2008. “Beyond Bandung: developmental nationalism and (multi)cultural nationalism in Indonesia.” Third World Quarterly 29(3): 521-540. Barker, Joshua. 2008. “Playing with publics: Technology, talk and sociability in Indonesia.” Language and Communication 28: 127-142. Barker, Joshua. 2005. “Engineers and Political Dreams: Indonesia in the Satellite Age.” Current Anthropology vol 46 no 5 (December), Pp.703-727. Barker, Joshua. 2004. “Whose Path to Modernity? Nationalism and the Christian Minority Elite.” Indonesia 77 (April). Pp.157-165. Barker, Joshua. 2003 “Engineers of Happy Land: Technology and Nationalism in a Colony. By Rudolf Mrazek.” Technology and Culture 44 (April), pp.412-13. Barker, Joshua and Bart Simon. 2002. “Imagining the New Order Nation: Materiality and Hyperreality in Indonesia.” Culture, Theory, and Critique, 2002, 43(2), 139-153. Barker, Joshua. 2002. “Telephony at the Limits of State Control: ‘Discourse Networks’ in Indonesia,” Local Cultures and the ‘New Asia’. The State, Culture and Capitalism in Southeast Asia. C.J.W.-L. Wee (ed.). Singapore: Institute of Southeast Asian Studies. pp.158-183. Barker, Joshua. 1999. “Surveillance and Territoriality in Bandung.” In Figures of Criminality in Indonesia, the Philippines, and Colonial Vietnam. Vicente Rafael (ed.). Ithaca: Cornell SEAsia Program.